A furious mum has slammed a Mansfield School for refusing to allow her daughter out of lessons to use the toilet during her period. The pupil asked her female teacher if she could go to the toilet because of her heavy period, but was told she could only go at break time which had been two hours previously. 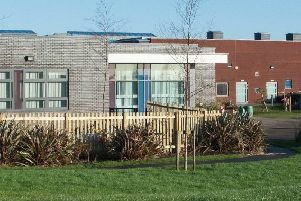 The incident took place at All Saints School onBroomhill Lane yesterday (March 20). The incident took place at All Saints School on Broomhill Lane yesterday (March 20). The teenager's mother told your Chad that the incident left her daughter 'upset'. "My daughter was in her last lesson of the day, and she asked her teacher if she could go to the toilet." the mother said. "She explained to the teacher that her period was heavy, but the teacher replied that she should have gone at break time." The mother added that when her daughter left the classroom to use the toilet, she was then punished by being put in isolation, and given an after-school detention. "No young woman should have to go through this in this day and age", the mother added. "I told my daughter that if teachers didn't allow her to go to the toilet, she should walk out and go to the office." "The fact that she had to plead with the teacher to use the toilet is disgusting. "Not being able to go to the toilet when needed can cause problems in the future." After visiting the school to sort out the problem, the mother said the staff were only concerned about her daughter leaving the classroom, calling it a 'behavioural issue'. The mother is planning to get a doctors note, so that her daughter can use the toilet when she needs to in future. She added: "I left school in tears. Instead of defending my daughter, the school has put her in referral as a punishment." Carl Cuomo, executive head of the school said: "The school is in contact with the parent to offer support and resolve the situation."